Why Should You Choose Forex Over Gold This Year? Lenders have been in the news recently, as savings rates being made available by high-street outlets have continued to fall during the fourth financial quarter. This has come as a response to widespread economic uncertainty, with the Brexit vote triggering huge volatility and forcing lenders to minimise their risk while optimising returns. There have been calls for mortgage lenders to raise the standard variable rate in 2017, even though the BoE have looked to maintain the base interest rate for the foreseeable future. Speculation Trumps Saving in the Current Economy: But Is Gold or Forex a Superior Asset Class? These restrictions suggest that speculation will be an increasingly effective way of building wealth in 2017, particularly as savers appear to have run out of viable options for optimising their returns. With this in mind, you will need to choose suitable vehicles that can successfully drive your investments in the New Year, with forex and gold offering popular options for relatively inexperienced traders. The question that remains, of course, is which will be the most likely to deliver the best return this year? Your immediate instinct may be to select gold in the current climate, as this typically provides a secure store of wealth in a volatile economy and many expect the value of this asset to increase in 2017. Experts predict that the reverse is more likely, however, with price forecasts suggesting an annual decline of 8% as investment demand wanes. This reflects the increasingly deterministic and risk-averse nature of traders, who are well-versed in the art of profiting in a changeable climate. If the value of gold is set to fall, however, does forex offer a viable alternative? The short answer is yes, despite the fact that the market’s average daily turnover fell to $5.1 trillion in April 2016 (from $5.3 trillion three years before). 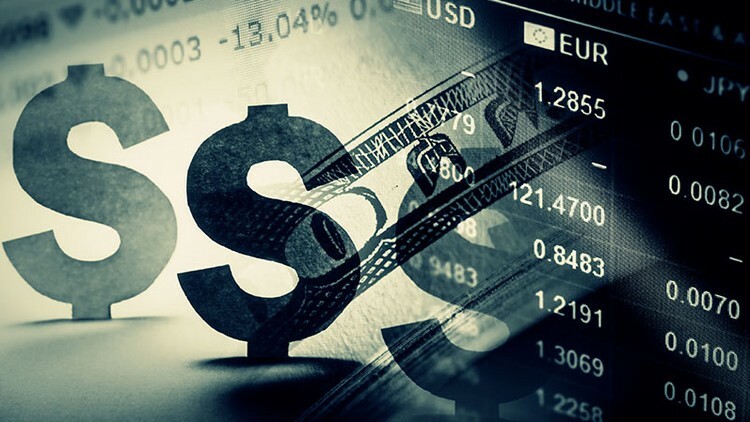 After all, this is largely negated by the liquidity and accessibility of the forex market, which has also enjoyed considerable diversification as emerging currencies have recorded more consistent performances and offered a broader range of options to traders. When you also consider that the currency is a fluid derivative that enables traders to profit in both prosperous and depreciating market conditions (and the fact that the U.S. Dollar provides a relative safe-haven in a volatile space), this asset class would appear to offer greater value as 2017 progresses. These facts and the real-time, economic portents suggest that gold will no longer be the safest investment option for traders as the year unfolds. Instead, those looking to leverage investments to boost their income should consider forex trading, as this offers far more liquidity and access to potentially larger returns in the current climate.